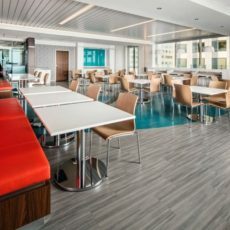 Premier Connecticut bank relocated to 68,000 square foot office space. 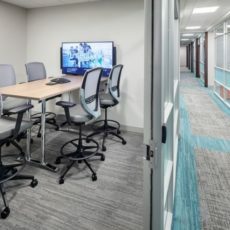 To accommodate for their fast growing company, United Bank moved approximately 200 Connecticut-based non-branch employees to a new office building in the heart of Hartford’s Business District. 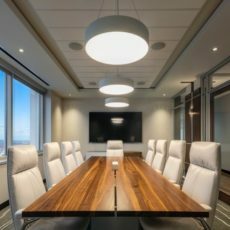 The goal of the corporate office relocation project was to create a comfortable and inspiring work space big enough to house all employees. OFI’s team worked with Solidus & Studio Q Architecture to furnish all four United Bank floors in the Goodwin Square building. 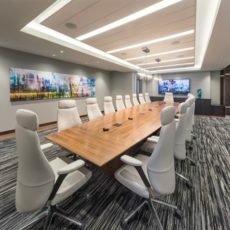 New furnishings included reception areas for each floor, executive offices, conference rooms and board rooms, collaborative workspaces, and an employee lounge. The renovation process went smoothly and the new space was very well received by employees.